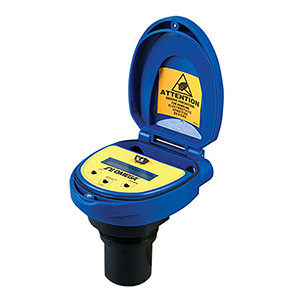 The LVU800 Series general purpose 2-wire ultrasonic transmitter provides non-contact level measurement up to 10 m (32''), and is ideally suited for challenging ultrapure, corrosive or waste liquids. Pushbutton calibrated, the transmitter is broadly selected for atmospheric bulk storage, day tank and waste sump applications. Media examples include wastewater and sodium hydroxide. LVU809: 5 cm (2") dia. LVU816/LVU826/LVU832: 7.6 cm (3") dia.